“Chipotle” is the (actually hard-to-pronounce) brand name of the Mexican grill chain with over 2,500 restaurants in the United States, Canada, United Kingdom, France and Germany, all of which are company-owned and operated. Despite high profile challenges around food safety in recent months, the publicly traded company boasts some impressive results and innovations – including financial highlights that the company has surpassed digital sales of over half a billion dollars in 2018 which now account for 10.9% of its sales, as well as last week’s launch of “Chipotle Rewards” in its home market of the US. So while the brand will likely take time to recover from the food safety concerns, it seems there’s no shortage of ambition in its bid for digital dominance – investing half a million dollars in cash prizes for the launch campaign for Rewards, as well as celebrating 100 million views of its giphy stickers by fans across Snapchat and Instagram. 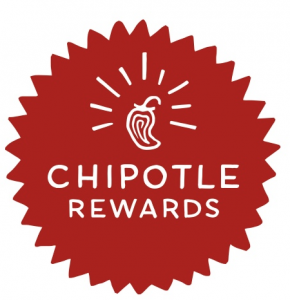 This article discusses what we like and what’s surprising us in their latest Rewards strategy – which Chipotle has described as a way “to have a presence in all of the places our customers spend time digitally”. 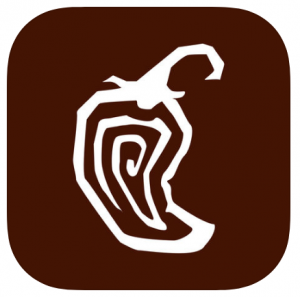 The New Chipotle Rewards App – Launched This Week. Members join the programme online or in the app. They scan the app in store for purchases, with digital purchases tracked automatically. The ‘earn rate’ on purchases is 10 points per $1 spent. 1,250 points earns the member a free entree, therefore requiring a $125 spend. A welcome reward “FREE Chips & Guac” after your first purchase as a member. Birthday gifts are included for every member. “Extra point days” – tactical campaigns are promised with 1.5 times the usual points ratio earned. In particular, we are impressed with the “Switch it up” proposition. This strategy is a clever way to consistently incentivise new product trial, with 100 points offered for trying new menu items. It’s the first time we’ve seen rewards for new product trial as a consistent loyalty programme promise, and it demonstrates the highly commercial approach driving the programmes objectives. 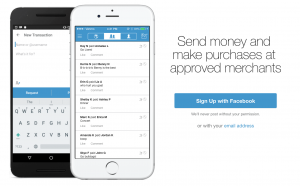 The partnership with Venmo, a social platform and payment sharing wallet in the US owned by Paypal. Its gamification strategy consists of an innovative sweepstakes campaign to launch the Chipotle Rewards programme as described below. The welcome reward is only given after your first purchase. Other brands typically offer an immediate incentive to members for joining and downloading their app. Points can take up to 48 hours to be added to the member’s account. In the age of instant gratification, most programmes update automatically in real time. Digital Distribution Partnership with Venmo. It has been estimated that about ten million people use Venmo on a monthly basis – a peer-to-peer platform owned by Paypal that allows users to split bills and send money between friends via the app and their social networks. Chipotle is one of the most mentioned brands on the platform, hence the partnership between the two brands is an exclusive and innovative idea to encourage adoption of the new Chipotle Rewards platforms by Venmo users. 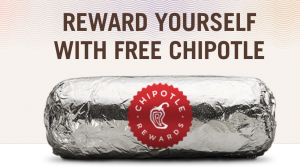 The partnership features a daily sweepstake draw which randomly awards up to 25,000 people with vouchers for “free Chipotle” – anything between $1 and $500 per winner. The launch campaign spans three days, within which time the brand has announced its intention to give away up to half a million dollars in burrito vouchers! While improved menu items such as “plant power” are tapping in to lifestyle trends, Chipotle’s CEO Brian Niccol has credited its digital transformation – particularly its in-store solutions, as a key driver of the brand’s share price recovery, with shares reaching a three year high last month. Supported by other customer-centric improvements including easy mobile ordering and expanded delivery, it’s exciting to see this multi-billion dollar turnover restaurant chain investing in gamification, rewards and direct digital channels to digitally connect with its customers. We’ll be following this programme’s results to assess its commercial impact and it will be fascinating to watch how and when the brand extends its loyalty investment to other markets in the future. Subscribe to our newsletter to stay updated on this and other exciting digital loyalty programmes in quick service restaurants and convenience retail stores worldwide. Chief Content Officer, Liquid Barcodes and Independent Loyalty Consultant, MBA, CLMP.